Perfect Pierogies isn’t just a clever name – this Garson, Manitoba company guarantees that you will get the most perfect pierogy no matter how you cook it. It’s a recipe for success that’s worked for this company for a decade. “It’s called Perfect Pierogies for a reason. You’re guaranteed that your pierogies will stay whole,” says James Aitkenhead, General Manager of Perfect Pierogies. Aitkenhead has been working with the company for six years and says that the business was created out of a need to find a tastier pierogy on the market. 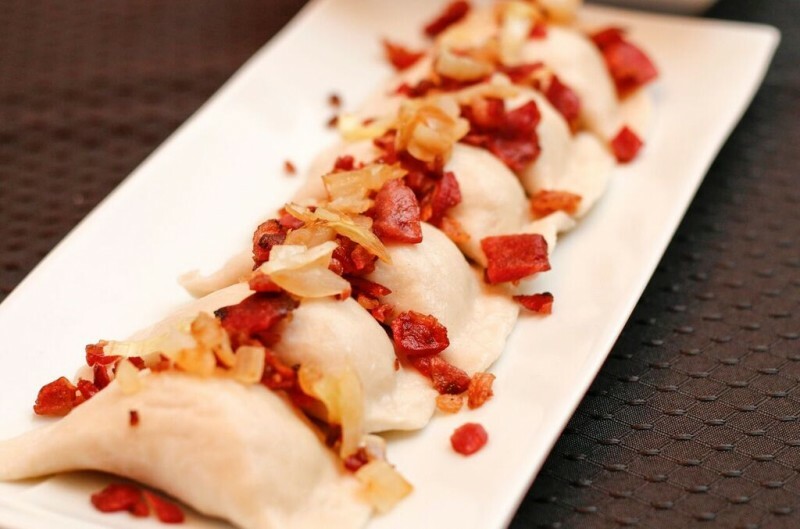 Pierogies with crispy bacon and caramelized onios. 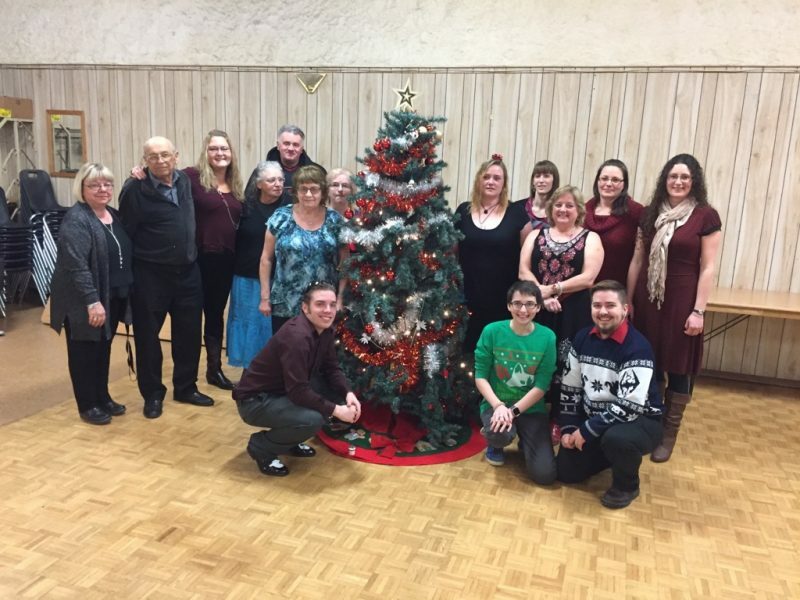 “One of our owners couldn’t find a perfect cottage cheese pierogy so he got together with Carole, who owns Ludwick Catering, and she had a good family recipe that has been past down from her mom,” Aitkenhead explains. Once they had the recipe, the stakeholders, Lawrence (Lawrie) Porhownik, Carole Aitkenhead and Joel Cote, had to find the right location and machines that could help whip up the best cottage cheese pierogies around. 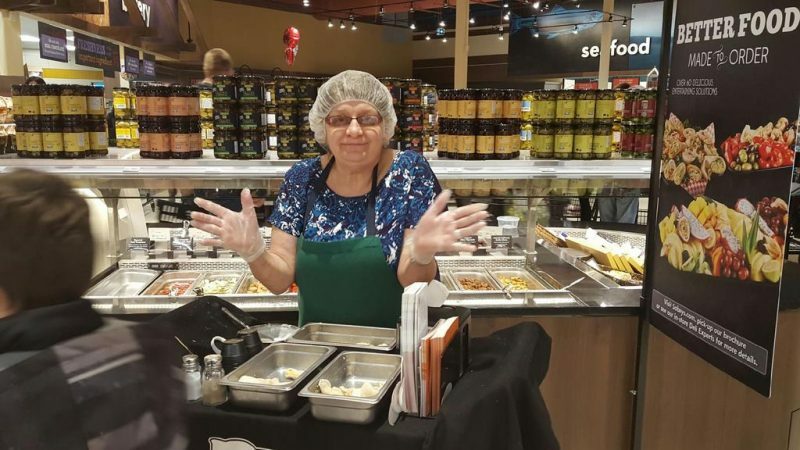 By 2006, Perfect Pierogies was ready to roll and people were loving their products. 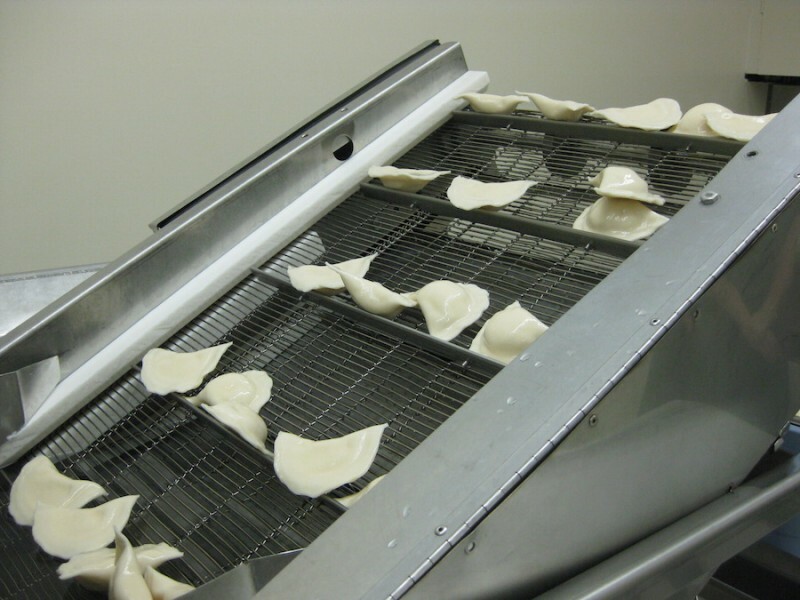 Today, their custom pierogy maker can push anywhere from 3,500 to 5,000 pierogies in an hour! Perfect Pierogies are a fully cooked product and are available in five flavours: Potato & Cheddar, Cottage Cheese, Sauerkraut, Feta & Spinach, and Spicy Chili Pepper. You can find Bothwell Cheese in both the Potato & Cheddar pierogies and in the Chili Pepper variety. “At our plant we strive to use as many Manitoba products as possible, always keeping with our motto ‘fresh is better’. We wanted to go for the gourmet product that compares to the flavours found in Baba’s kitchen. Bothwell Cheese fits right into that! We know Bothwell produces the highest quality cheese available and being as they are a local Manitoba company only strengthens our core values as a manufacturer,” Aitkenhead says. 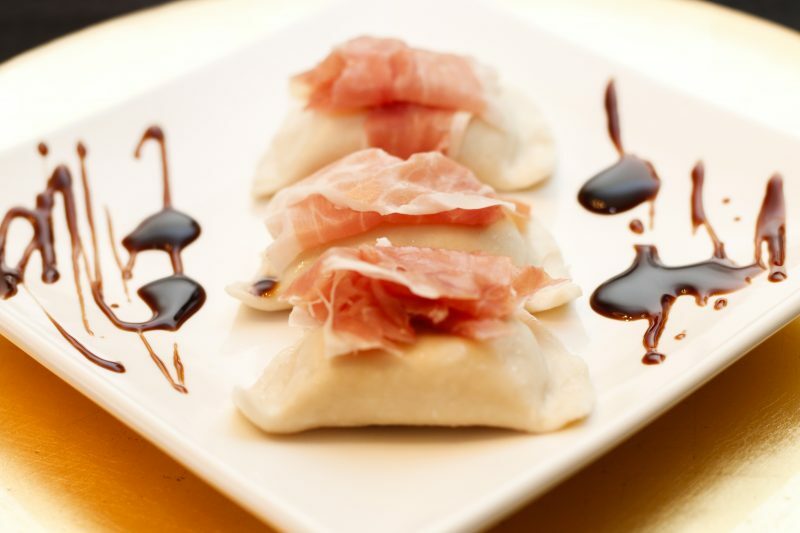 Pierogies with prosciutto and balsamic reduction. 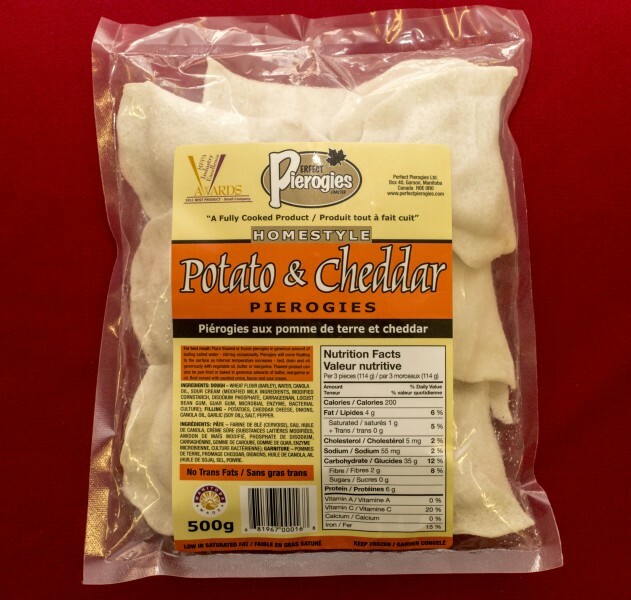 The pierogies are sold to both retail stores and to distributors in Manitoba. Some of the distributors also ship the product outside of the province. If you’re looking to stock your fridge or freezer with these Ukrainian delicacies, you can find Perfect Pierogies in stores around Winnipeg like Sobeys, Red River Co-op and independent retailers like Local Meats & Frozen Treats, Tenderloin Meat & Sausage, Harry’s Foods and various IGA stores. The products are sold both fresh and frozen depending on the retailer. Sampling delicious Perfect Pierogies for hungry shoppers at Sobeys! These tasty little dumplings aren’t the only delicious fare made by Perfect Pierogies. They’ve also expanded into the pizza business to help keep their employees working full-time. Aitkenhead says their staff is a fantastic group of people and they wanted to make sure they could retain them as long as possible. 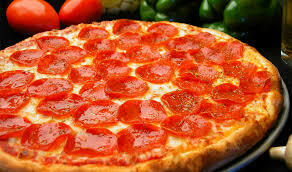 Holmy’s Pizzas are sold in rural locations like Beausejour, Garson, Tyndall where takeout pizza isn’t always right around the corner. “We specialize in a frozen pizza that you can throw in the oven and it’s just like making it yourself,” Aitkenhead explains. 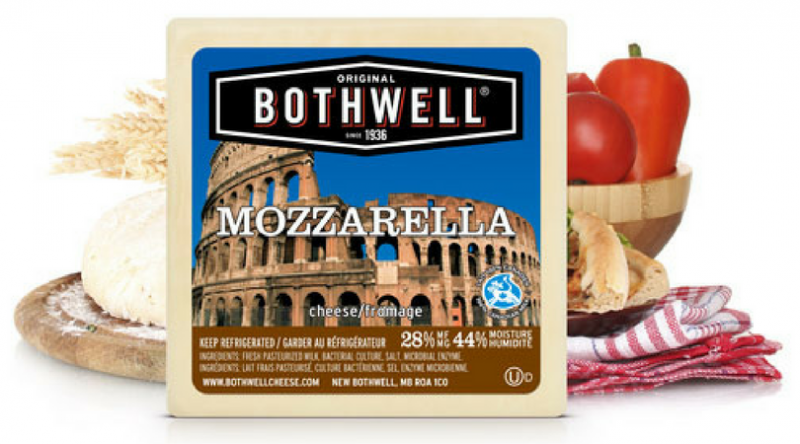 Bothwell Cheese is also used on the Holmy’s Pizzas which come in 12-inch or 15-inch sizes. 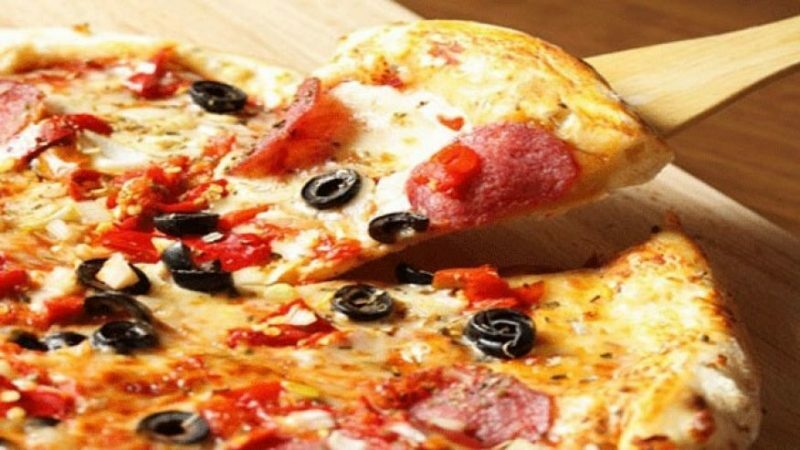 Varieties include family favourites such as, Cheese, Canadian, Ham & Pineapple, Meat Lover, Pepperoni & Mushroom, Pepperoni Lover, Pepperoni & Bacon, and finally the Hungry Holmy which has a little bit of everything. If you’d like to purchase bulk orders of products from Perfect Pierogies, Aitkenhead recommends you visit their plant in Garson, MB. 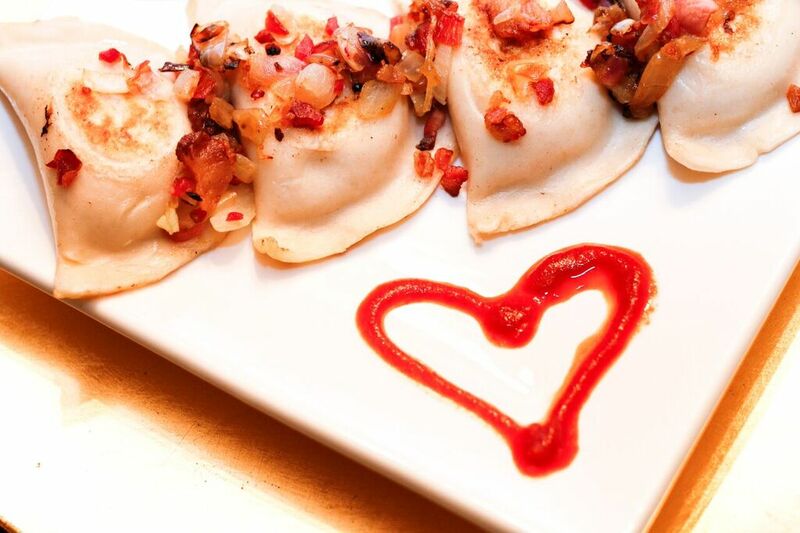 And if your organization is looking for the “perfect” fundraiser, Perfect Pierogies can hook you up! Perfect Pierogies is always expanding and the future looks bright. Aitkenhead says he made it his mission to expand the business and the plan seems to be working. You know you’re doing things right when the harshest critics start buying your products instead of working tirelessly in the kitchen to make their own. 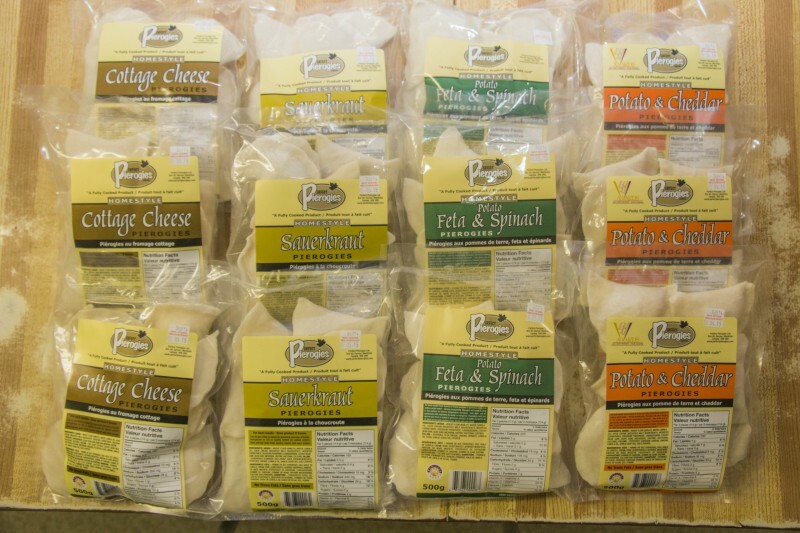 For more information about Perfect Pierogies, you can visit their website. Happy Ukrainian Christmas from the Perfect Pierogies team!